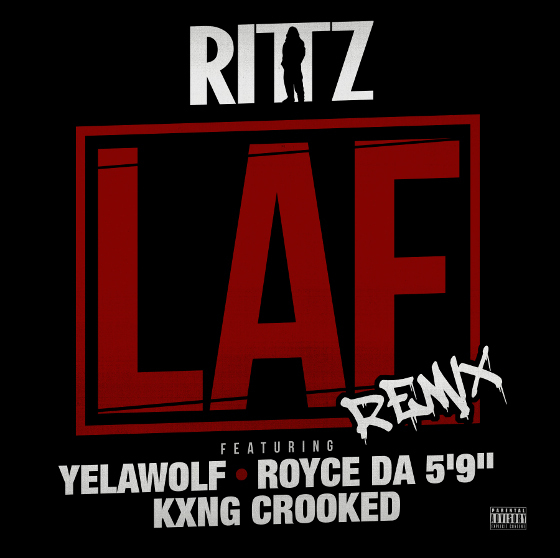 The audio equivalent to a flame-thrower: Rittz is proud to present the remix to “LAF” (from Next To Nothing), featuring Yelawolf, Royce Da 5’9″ and KXNG CROOKED. There really isnt’ much to be said that you’re not already thinking: this track features some of the finest spitters in hip hop, point blank. When you get rappers of this caliber on a track together over a beat as fire-friendly as the one Matic Lee produced, the results have the potential for extreme greatness. We can safely tell you that this remix does not disappoint. Hear it for yourselves and get blown away. What’d you think of the remix?